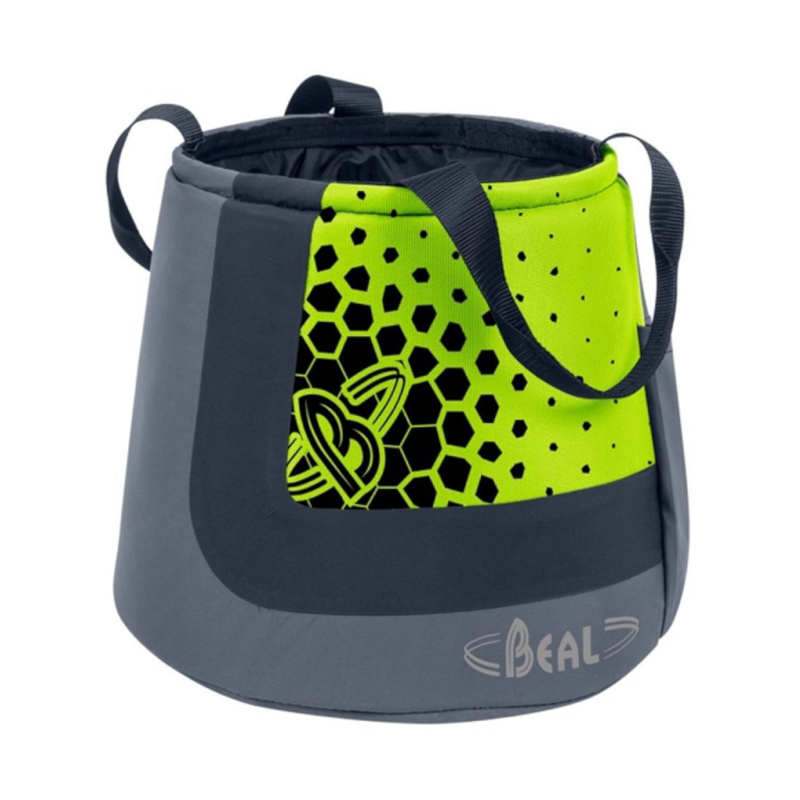 The Beal Monster Cocoon is a large boulder bucket made for storing hefty amounts of chalk. It's big enough to fit two hands for fast and efficient chalking. A stiffened base ensures it remains upright at all times. A zipped pocket and two toothbrush holders store all the essentials. It's also made from Corduroy to give you the best durability. Everything you need for easy chalking, cleaning, and repairing.